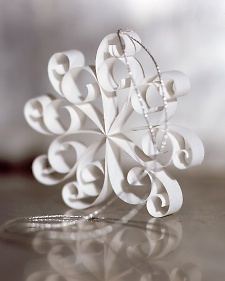 My Christmas Ideas board in Pinterest includes a wonderful selection of snowflakes. I always end up making a few for one reason or the other. 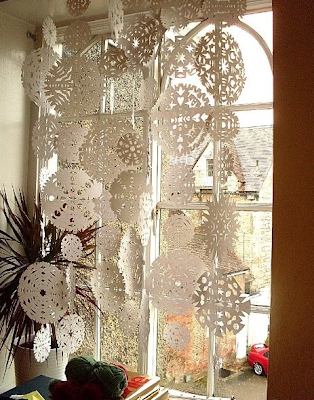 Last year I tried to block the sun into our sunroom with a screen of snowflakes. We made about 50 of them and they stayed up until April. 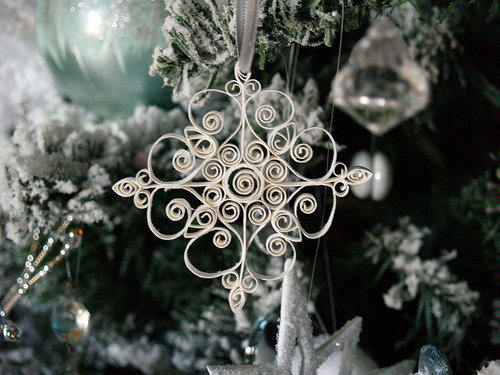 Here are some of the interesting ones others have made. 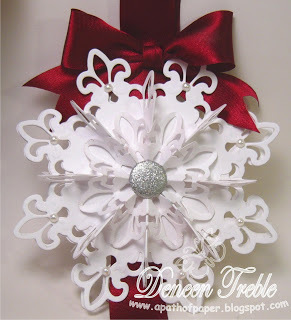 Many have tutorials so if you see one you like, follow the link to the creator. 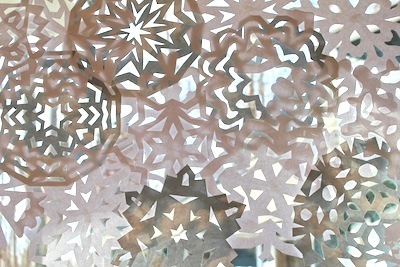 I really love these snowflakes designs, they're so intricate and lovely. 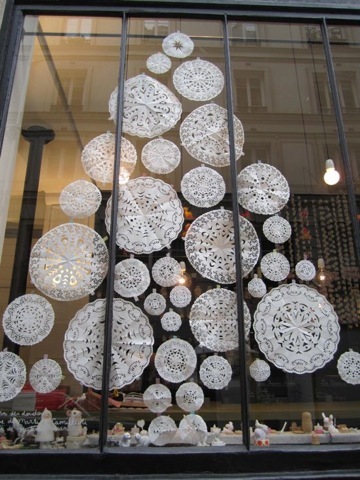 The christmas tree deco on the window was a great touch too. Just paid a visit to your blog and saw your snowflake. Wonderful! and then I took a detour and saw several other project- the toilet paper tube wreath is also beautiful. I'll add you blog to my reader so I stay up to date. Thanks for sharing.